Welcome to Generations in Jazz Foundation. 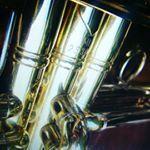 The following pages can connect you to a community focused on preserving the great American Art Form called Jazz. Enjoy. Generations in Jazz is a non-profit public benefit organization dedicated to supporting community music activities. With jazz as our language, our goal is to build our communities by providing educational, performance and cultural opportunities for students and adults.